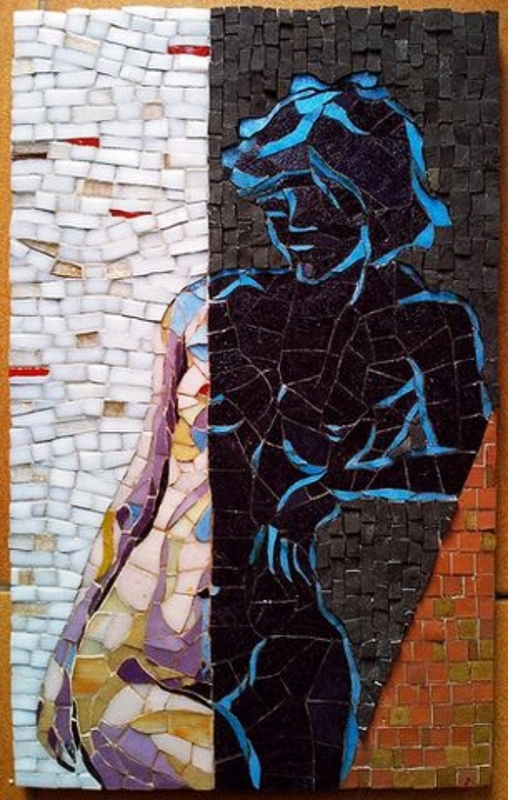 Whether it’s the eloquent floors of the ancient city of Pompeii or the funky walls of the New York subway, humans have been creating Most Intelligent Mosaic Art Works and Practices as they embody grandeur and appeal. 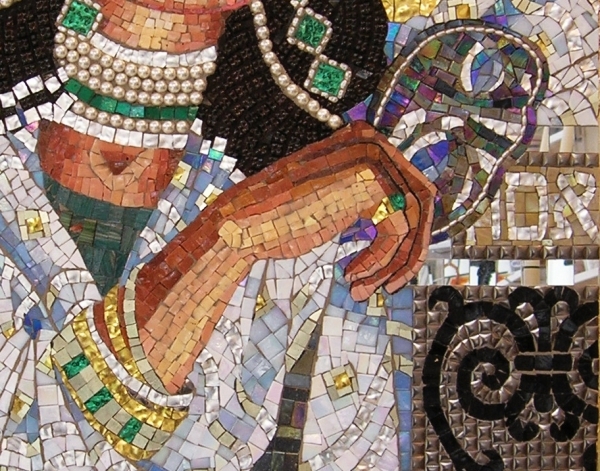 The history of mosaics can be dated to the times of Mesopotamians in the 3rd Millennium BC and is prevalent to date. 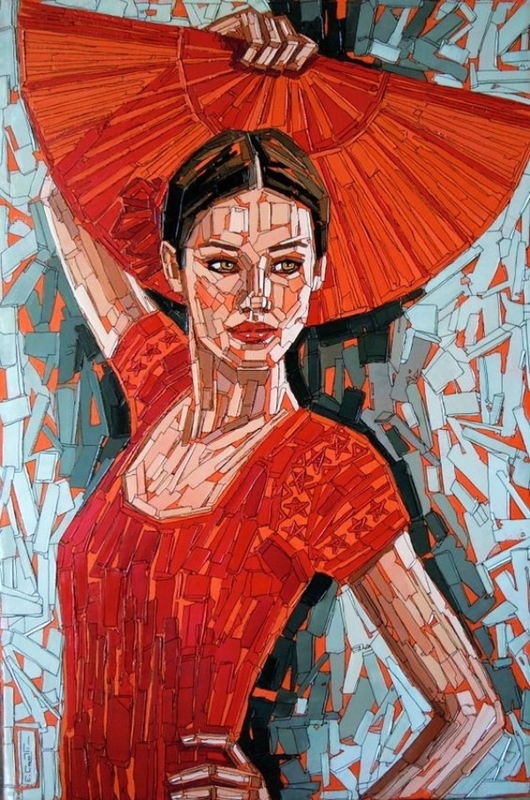 The technique makes use of tiny pieces of colored glass, and other materials in order to create an artistic image. 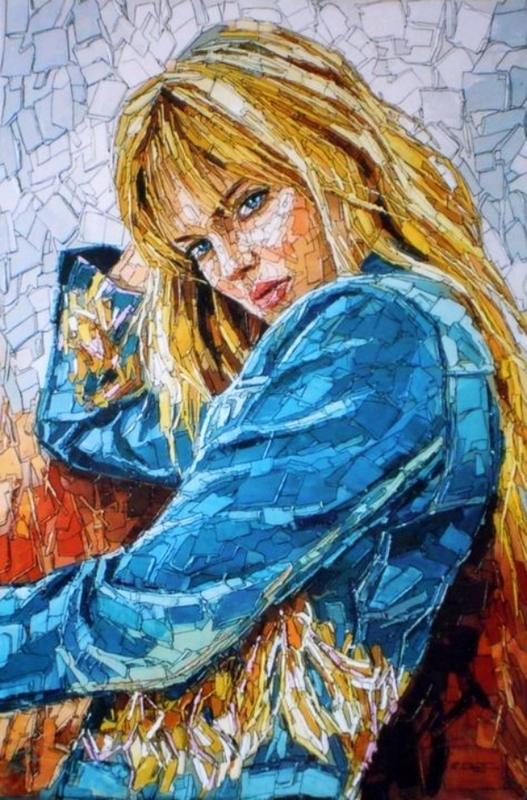 The Most Intelligent Mosaic Art Works and Practices is still popular among artists today who have been creating outstanding pieces to entice the human eyes and mind. Some designs can boggle your head for they are so intricately designed. 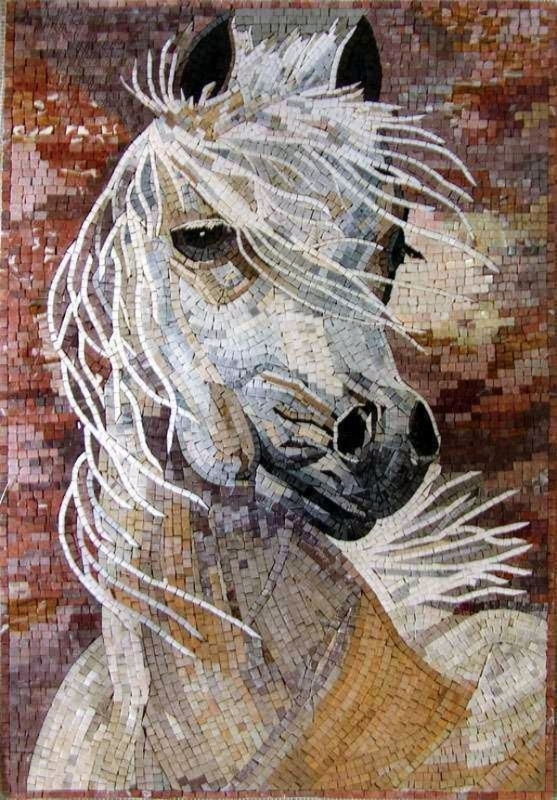 Hence, you need to check out the 10 most intelligent mosaic artworks and practices to believe it through your eyes! 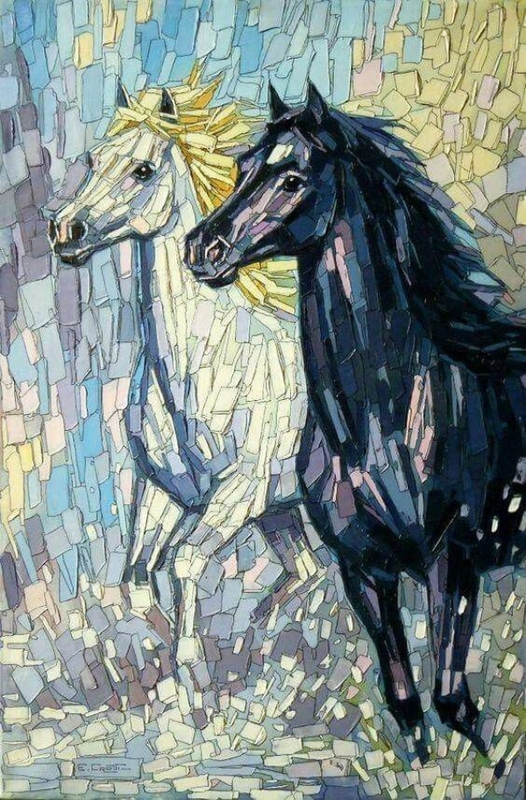 At first, this Most Intelligent Mosaic Art Works and Practices will leave you astonished, and secondly, it will make you ponder in deep thoughts for quite a while! 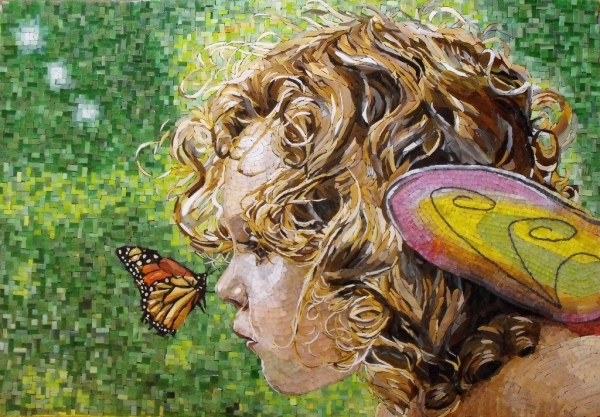 Created by Atsuko Laskaris, this mosaic portrays a young girl gazing at a butterfly. 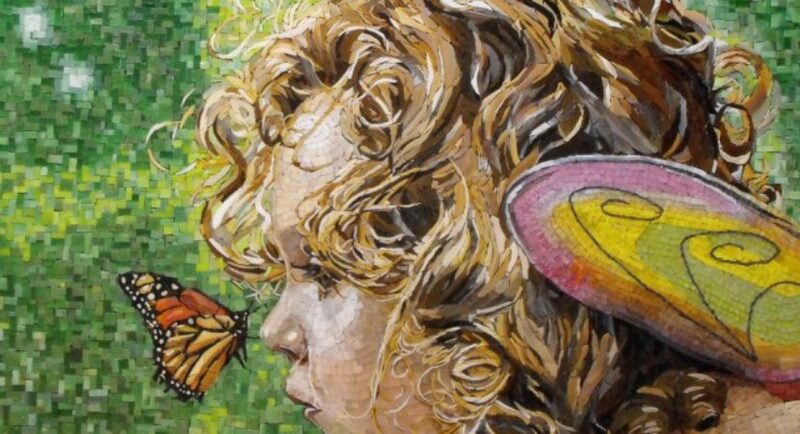 But the twist here is that the girl also has butterfly wings. Maybe she dreams of flying, maybe she’s been granted wings by the butterfly. Who knows, for it is a ‘secret between you and me’! 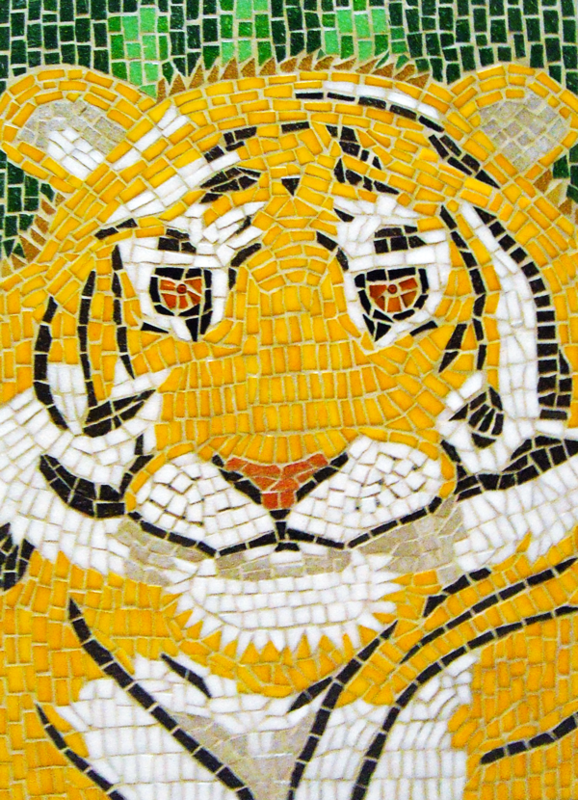 You can spot this one in the subway near Time Square in New York. 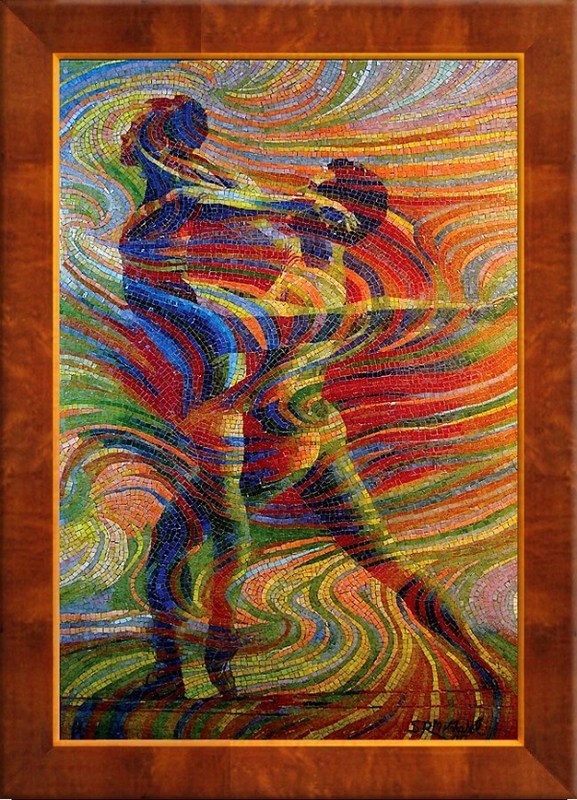 Nothing seems better than capturing the joy and ecstasy of humans through art. 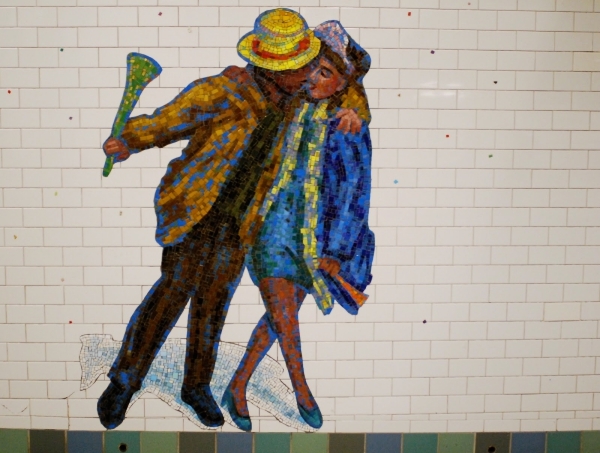 And this has been perfectly done by artist Jane Dickson who has created a life-size portrait of the revelers indulged in enjoying and celebrating New Year’s Eve. 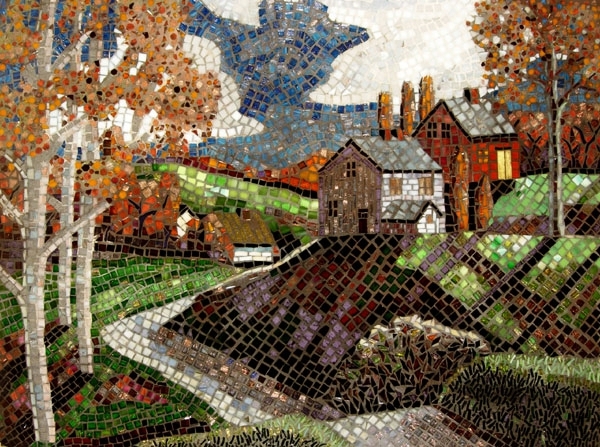 Dickson collaborated with Miotto Mosaic Art Studios for this project. Sometimes, simple things can leave you awestruck! 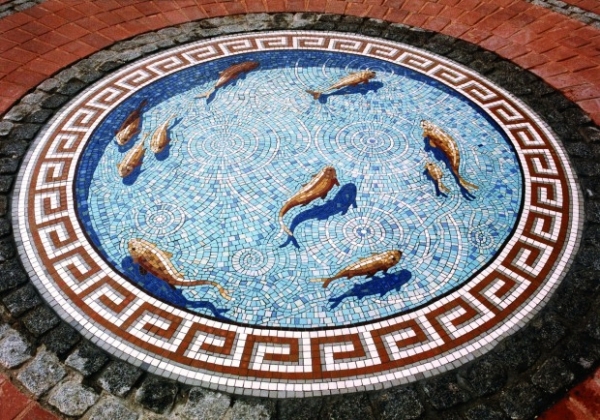 And this mosaic, named Fishpond is a perfect example of it. 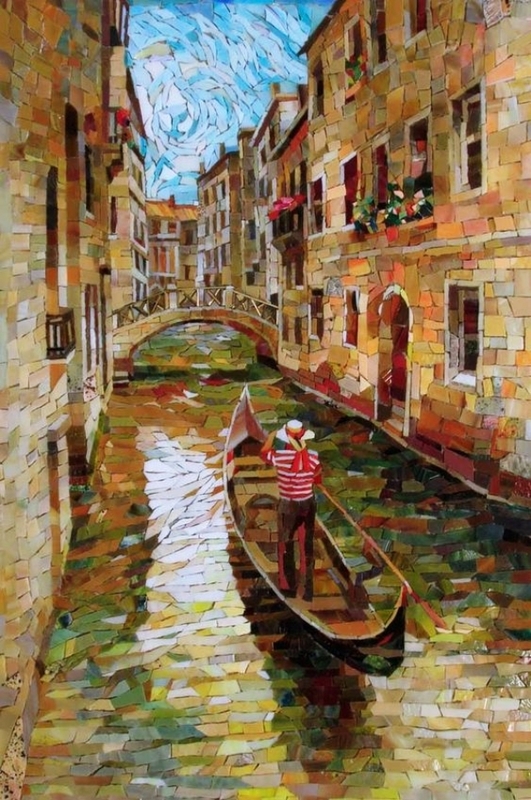 It has been designed by Gary Drostle who is an award-winning artist. 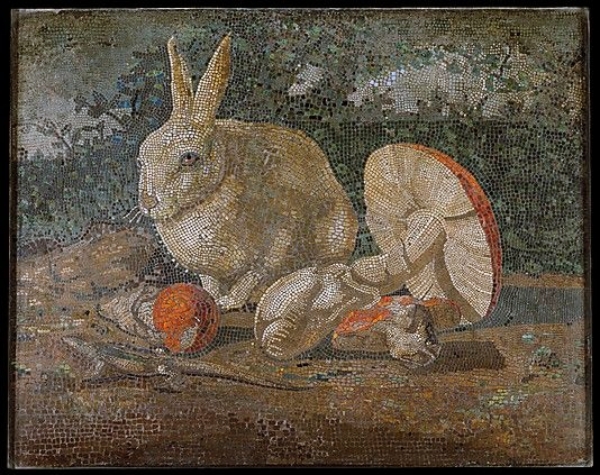 The mosaic is a depiction of goldfish swimming in a pond. It looks so realistic that it became the center of attraction in an award-winning public garden in Croydon, London. 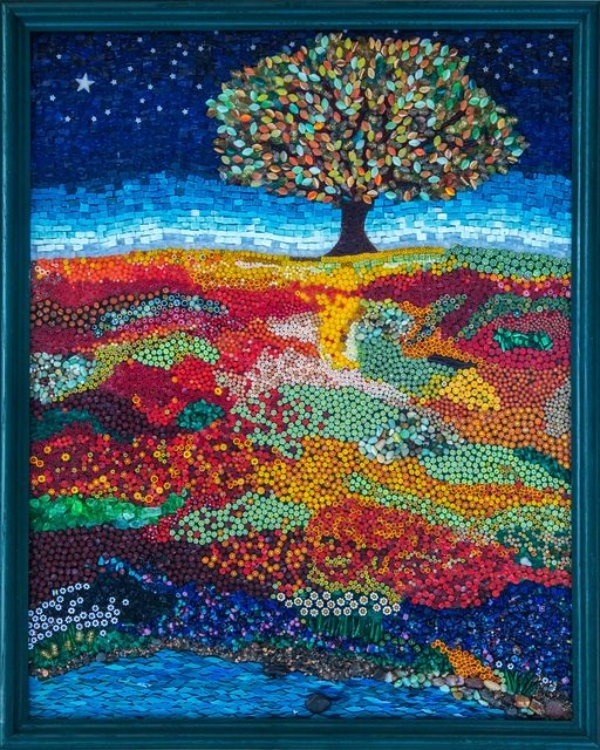 Artists often try to depict the beauty of nature through their work. 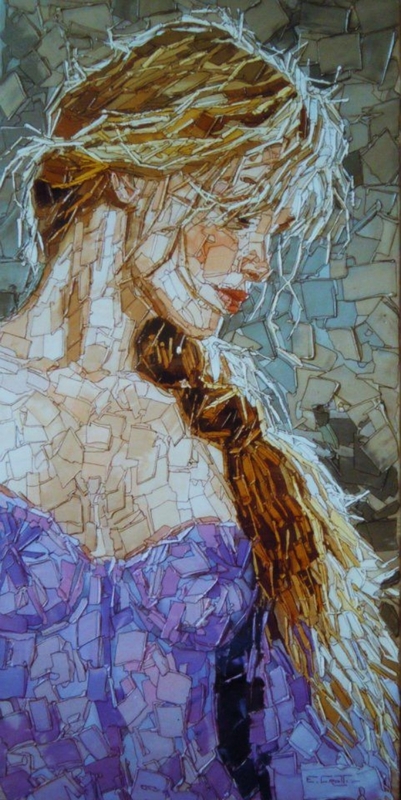 And this is what Laura Rendlen has tried to do in ‘Winters Beauty’. 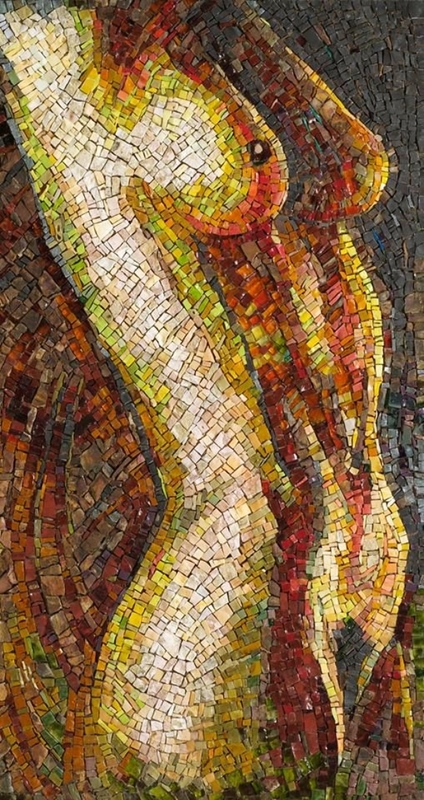 The uniqueness of this artwork lies in the fact that it appears more like a painting than a mosaic. 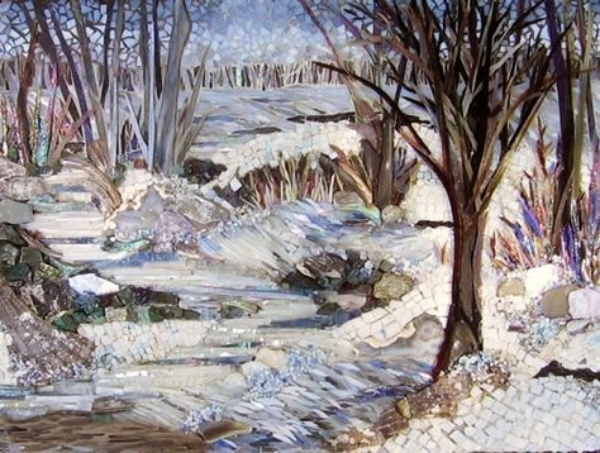 The winter trees and snow are so made that you would keep on wondering how this was actually done. Truly a masterpiece! You can easily relate this to Hitchcock as the name suggests. 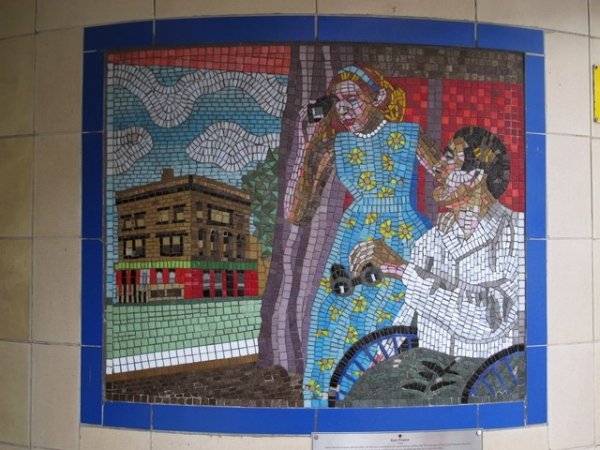 This series of murals can be spotted in the tube station in Leytonstone. 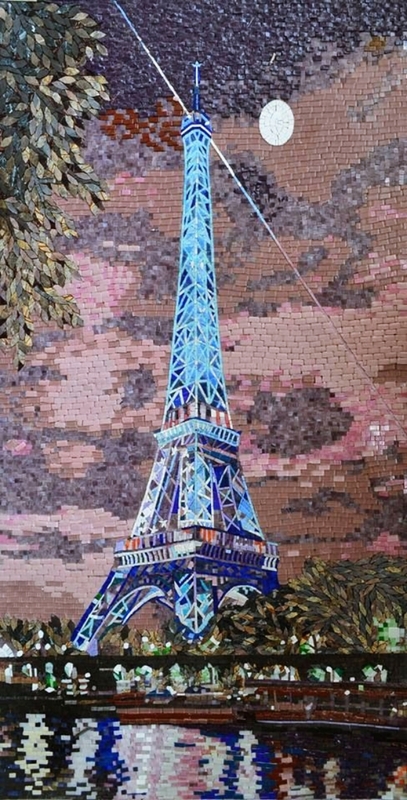 In total, there are 17 murals. The interesting thing is that each mural portrays a particular scene from a different movie. 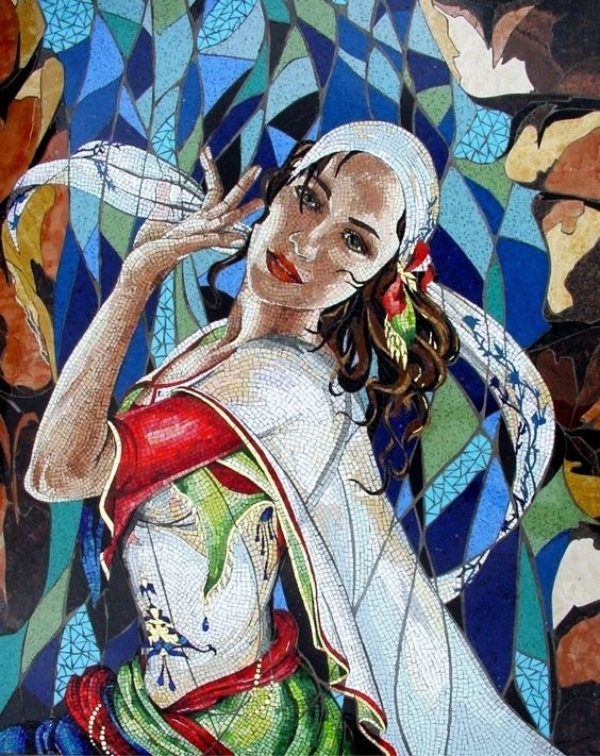 Enjoy a world of emotions as you look at these Most Intelligent Mosaic Art Works and Practices! Creativity knows no bounds! 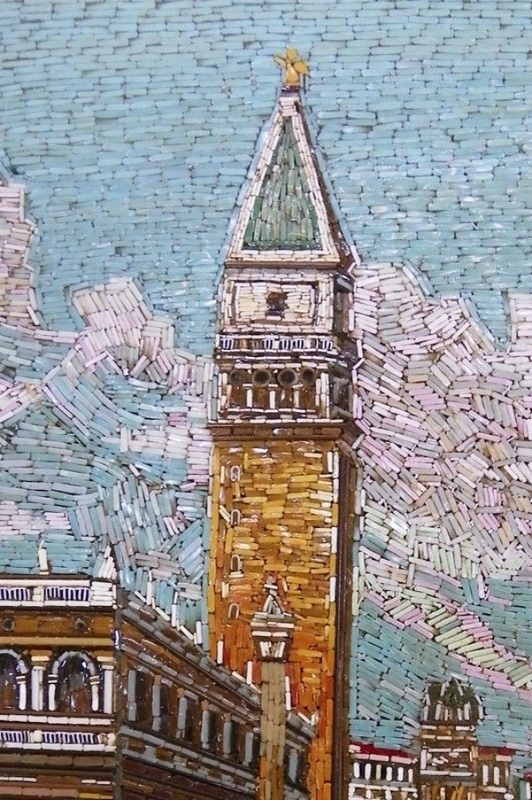 And this ‘secret mosaic staircase’ rightly justifies it. 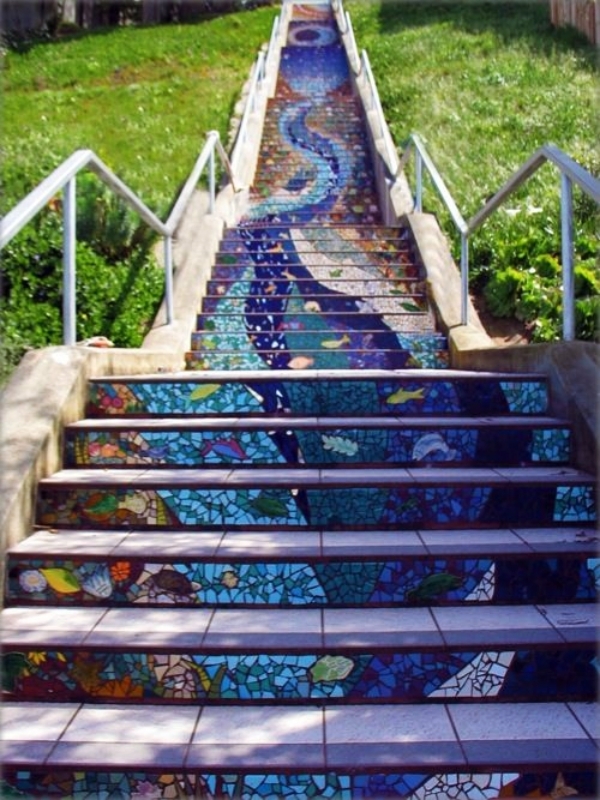 A lovely mosaic staircase of 163 steps in San Francisco makes climbing stairs such a delightful task. 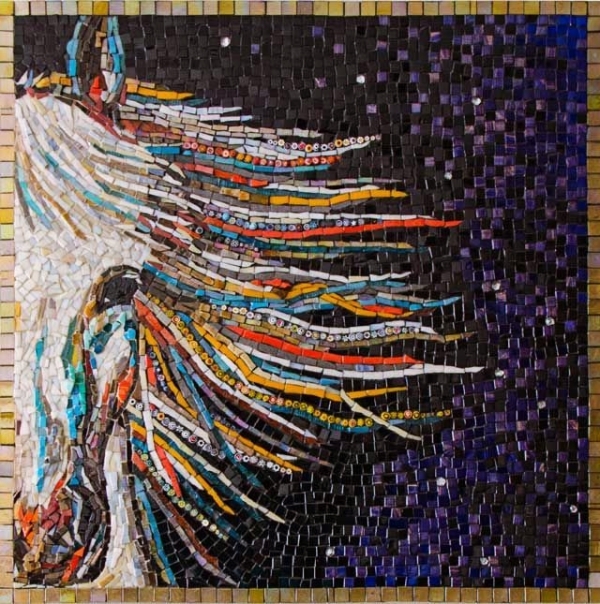 The credit goes to artist Colette Crutcher, ceramist Aileen Barr, and more than three hundred community workers. 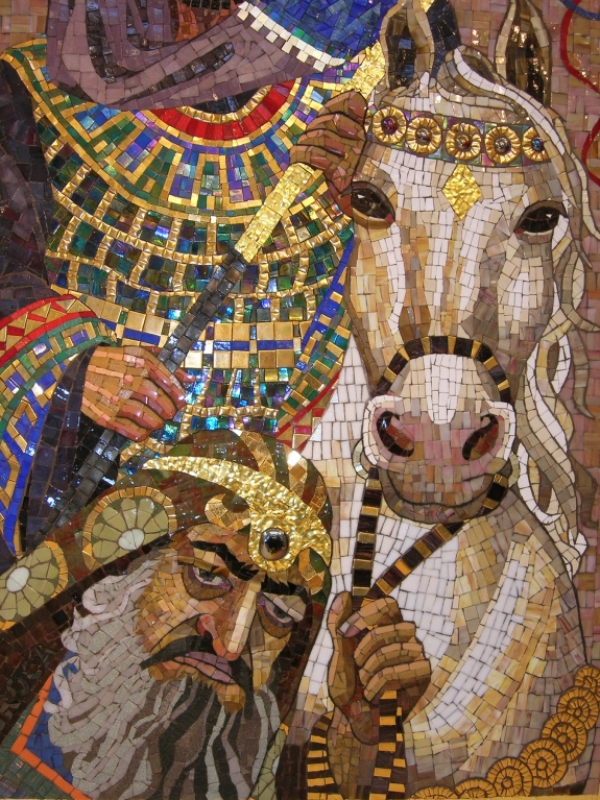 This work of Most Intelligent Mosaic Art Works and Practices took a period of two and a half years to complete! Brace Yourself, ‘Storm Is Coming’! 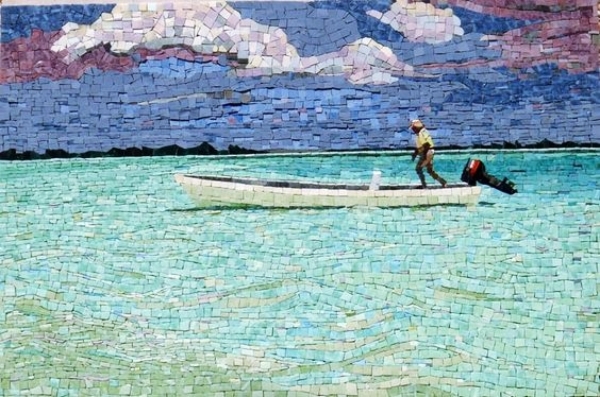 Although the Most Intelligent Mosaic Art Works and Practices is a warning of an upcoming storm, the scene is so beautiful it would want you to go on a holiday! Artist Michael Graham created ‘Storm is Coming’ to show the stillness of water before a storm. 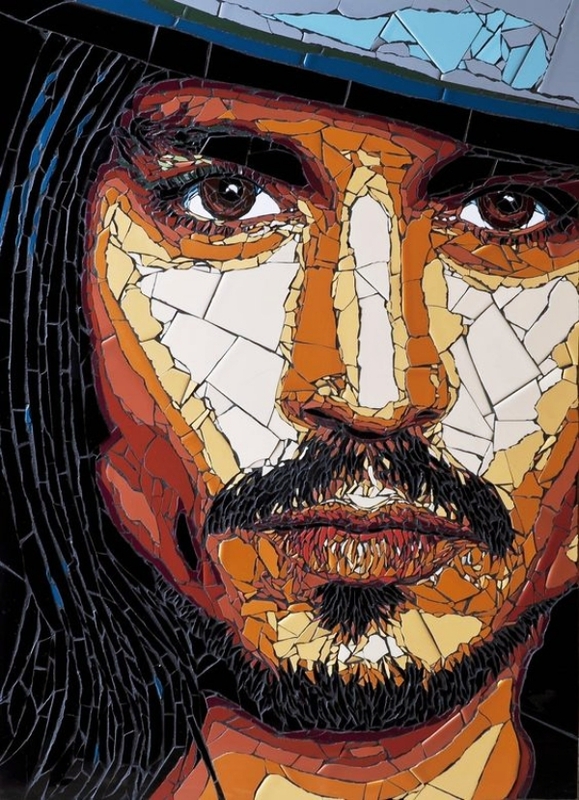 The mosaic has been received incredibly well and helped Graham win several accolades. 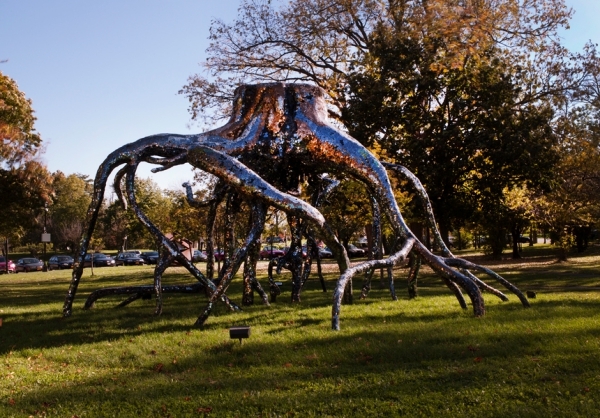 Rather than keeping it a portrait, artist Jason Middlebrook decided to make a sculpture instead. 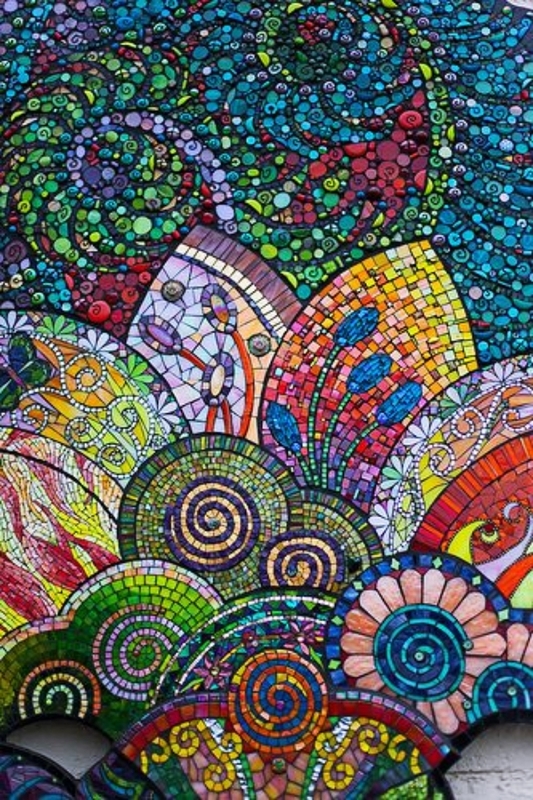 ‘Underlife’ finds a resemblance to an octopus and is created with the help of glittering glass tiles. The sculpture has been so intricately designed that it appears life-like and ready to embark on a hunt! 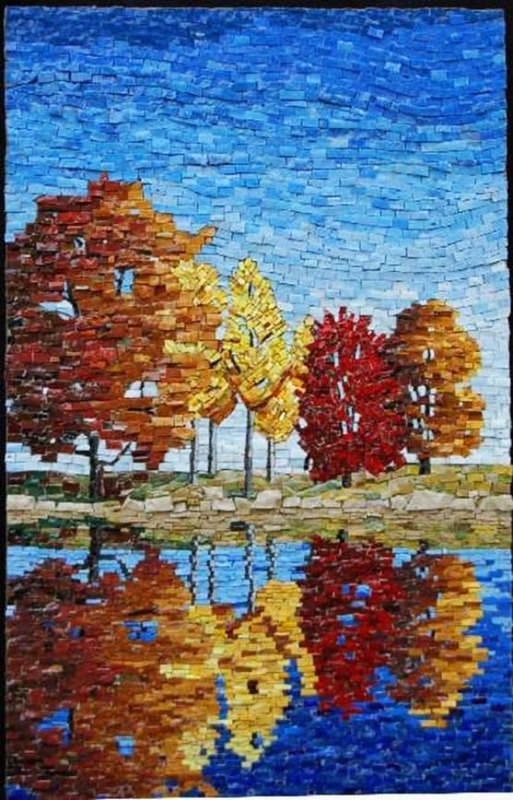 Whilst autumn is a time when everything is dead, yet so beautiful, artist Sandra Bryant tried her best to portray this through her mosaic. And she does that beautifully. You fall in love with the rust leaves falling from the trees, and the little huts lying amidst a beautiful landscape. You don’t get to know her life until you walk in her shoes! 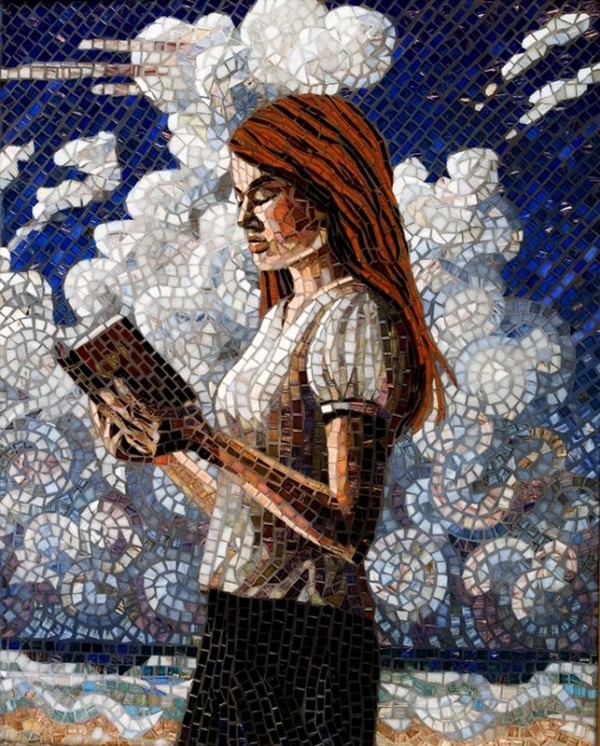 Lin Schorr, an American artist has created this mosaic through which she wants to represent the story of a girl. 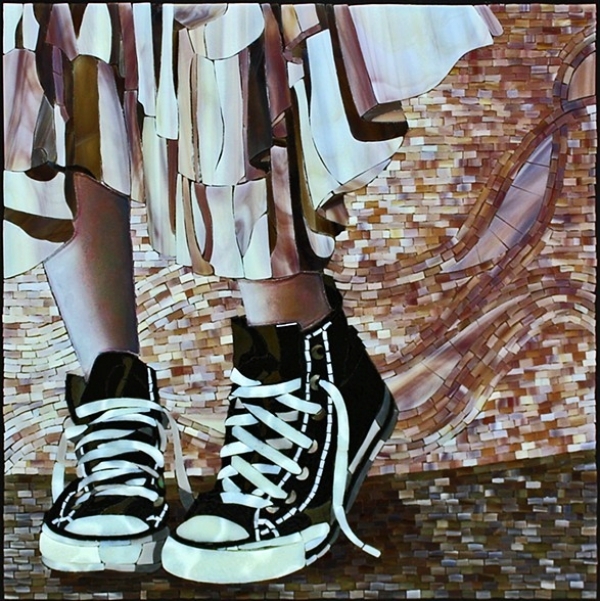 The interesting thing is that you see nothing but beautifully designed sneakers, legs of a girl, the lower part of her dress, and a backdrop. But still, it lures you, makes you have thousands of thoughts in your mind! Intrigued much? 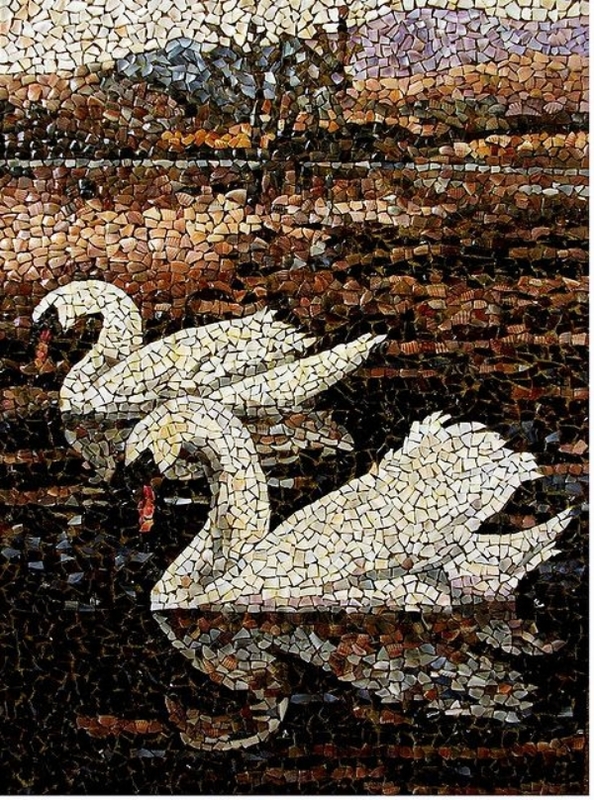 These phenomenal yet Most Intelligent Mosaic Art Works and Practices can put anyone to think twice. Such is the magic of art!